Wrongful death claims generally allow for the collection of a greater amount of money versus a traditional worker’s comp death benefit. Our worker’s compensation attorneys understand what you’re going through. Contact us following the death of your loved one to determine the best steps moving forward with your death benefit claim. On behalf of Koszdin, Fields, Sherry & Katz posted in Los Angeles workers compensation attorney on Saturday, January 26, 2019. In the aftermath of a loved one’s death, emotions are running high, especially if the death was sudden and unexpected. This is generally the case when a family member dies on the job. Families are left with a mix of feelings, including frustration, fear, and grief. Decisions must still be made, however, and depending on the circumstances, one of those may be whether to file a worker’s compensation claim for death benefits or to lodge a wrongful death claim. This is not a decision to take lightly or make hastily, and in general, it is a difficult task to sue an employer when the employee is covered by worker’s comp. In California, a deceased worker’s husband/wife, children, parents or other legal dependents have a right to collect death benefits if the worker’s death resulted from a job-related illness or injury or a workplace accident. The amount of death benefits available under worker’s compensation is limited by the number of the decedent’s dependants and the cause of death. Death benefits are paid out on a weekly basis, with a cap of $320K per claim. The major advantage that worker’s comp death benefits have over a traditional wrongful death claim is that California worker’s comp operates under a no-fault approach. For this reason, the formality of proving the employer’s negligence in the death is not an issue. That is not the case in wrongful death claims where the burden of proof of negligence lies on the decedent’s family. Keep in mind that death benefits under worker’s comp have a couple of big drawbacks. For one, if the claim is approved, the family is essentially waiving any right to sue the employer, so no additional awards will be available for losses and damages other than the weekly payout benefit. Benefits do not take into account the non-economic losses that families and their departed loved ones experienced, such as pain and suffering, loss of partnership or consortium, and so on. Wrongful death claims generally allow for the collection of a greater amount of money versus a traditional worker’s comp death benefit. Largely, this is to do with the award of non-economic losses that are not collectable under worker’s comp. There is no cap on awards for wrongful death like there are with worker’s comp death claims. 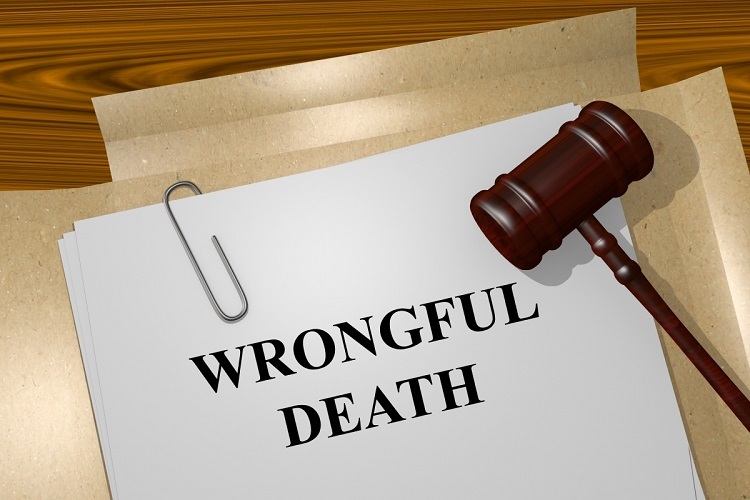 Inversely, wrongful death suits are complex, uncertain, and require a longer timeframe for payment. They can require a significant amount of time to negotiate or litigate, and families often need money right away for final expenses, living expenses, mortgage payments and more—and many grieving family are often simply unable to wait it out to get a bigger payout that might or might not come following a loved one’s death. At Koszdin, Fields, Sherry & Katz, our Los Angeles workers compensation lawyers understand what you’re going through. Contact us following the death of your loved one to determine the best steps moving forward with your death benefit claim and weigh the legal options that are available to you as a survivor or dependant.